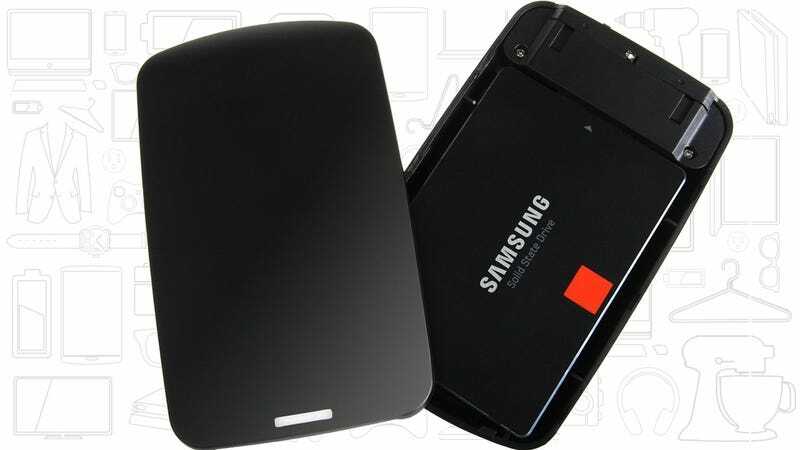 External hard drives are ubiquitous, cheap, and great for backing up your files. But if you’ve ever tried to use one actively to edit, search, or view large numbers of files, you know how quickly they can hit a speed bottleneck. Case in point: My photo and video library is about 200GB, and my MacBook Pro’s SSD is only 256GB, so naturally, I bought myself an external hard drive to hold the library. Unfortunately (if not surprisingly) reading over 30,000 files off a 5400 RPM USB hard drive brought the Apple Photos app to a screeching halt any time I searched, edited, or even scrolled, so I set out to find a faster solution. 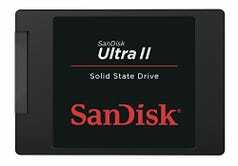 First, I looked into external SSDs, but there really aren’t very many of them, and the ones that do exist are prohibitively expensive, even by SSD standards. For example, Samsung’s T3 line is the clear market leader, but $218 for a 500GB model is a tough pill to swallow when a bare 500GB SSD can easily be had for well under $150. So I set out to “build” my own external SSD, which in this case meant buying two items on Amazon, and snapping them together in a painless 15 second process. Here’s what you’ll need to build your own. Samsung’s 850 EVO is the clear market leader for PC tinkerers, but I’m of the mind that it’s actually a little overkill for this project. Assuming you’ll just be using this drive to store a certain subset of files, and not booting an OS or running constant backups, it’s okay to cheap out a little bit here. 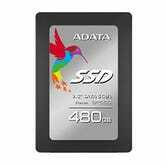 Personally, I scored a great deal on a 480GB ADATA SP550 SSD, which is available right now for just $115 on Amazon. This Tom’s Hardware review does a good job of breaking this thing down, but the upshot is that it’s a decent, but unspectacular cheap SSD. No, you wouldn’t want it for a competitive gaming rig, or if you were using it to run a server, but as sporadically used external storage, it’s perfectly satisfactory. In fact, I’d recommend just searching Amazon on any given day for the capacity you need, and finding the cheapest option from a reputable manufacturer. You should check the reviews for obvious red flags, maybe do a couple minutes of Googling, but there’s really no need to overthink this. Once you’ve picked one out, it’s time to give it a home. I’ll cut right to it; there are like a million of these things that you can buy from Chinese manufacturers on Amazon, and they’re all basically the same. I own this $13 model from Sabrent, and it’s perfectly fine. 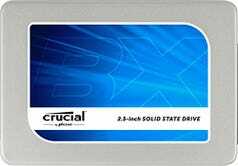 Ensure it’s designed for 2.5" drives. 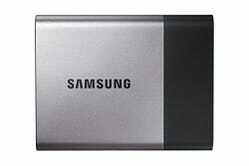 Make sure it supports UASP, which allows SSDs to transfer files faster over USB. You shouldn’t pay more than $10-$15 here, and in fact, we post deals on these things frequently on Kinja Deals, so keep an eye open there for additional savings. If you want to get a little exotic, this model includes a built-in USB hub, which allows you to plug in even more external storage devices. 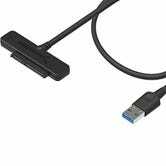 On the other end of the spectrum, minimalists might appreciate this USB to SATA cable, which leaves the SSD out on display for the world to see. Once you’ve got your two parts, just plug the SSD into the enclosure, screw or snap the case together, and you’re finished. Needless to say, my photo app runs a lot more smoothly now. I should note that this solution really isn’t for everyone. 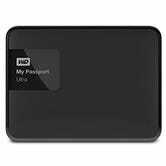 If you just need a drive to run periodic backups on your files, a standard external hard drive like the My Passport Ultra is perfectly fine. 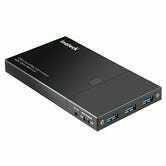 It’s fast enough over USB 3.0 for background tasks, and you can get a 1TB model for as little as $50 in many cases. You can only really justify the expense (roughly $130-$160 for 500GB) of a DIY external SSD if you’re actively using the disk during your regular computing tasks. I’m talking video editors who use a scratch disk, gamers who need more space to hold games, and people with large photo libraries. 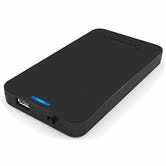 I still use my old hard drive for Time Machine backups on my Mac; I just had a specific problem with my photo library, and an external SSD was the cure.